Today we would ask that you consider some small deed you might do that would be of benefit to either yourself or someone else. What do we mean by this? It is very simple. We just ask you to take a moment to think of some small kindness you would like to do. For many people it is much easier to be giving with someone else rather than with themselves. From our perspective, it is equally beneficial to be kind to someone or else, or be kind to yourself. We suggest that you do whatever is most comfortable. You can also do both, of course — create benefit for someone else, and create benefit for yourself, if you are so inclined. It is essential that it be a small thing. Like making a very small donation to a charity. Or calling someone you know would like to hear your voice, who you would not otherwise call today. Emailing a friend you have not connected with in some time, to express your caring for this person and your curiosity about his or her life. It could be a continuation of yesterday’s idea, and saying “thank you” to someone. Really, it is whatever strikes you as a very simple, easily achievable “good deed” that requires little effort or thought. It should not feel burdensome or obligatory in any way. It should feel pleasurable to you. Something that brings warmth to the heart. That is why we consider it equally beneficial to do a good deed for the self. And this can be as simple as looking in the mirror and saying “thank you” to you. Do you see how this can be harder than saying “thank you” to someone else? Yet it is equally powerful. Perhaps take some time to thank yourself for things you have done this week. By this we do not mean achievements in the worldly sense. We mean little things. Like showing patience with your children. Like preparing a meal with care. Like taking your dog for a walk. Or even paying the bills. Or just letting yourself rest when you needed to. 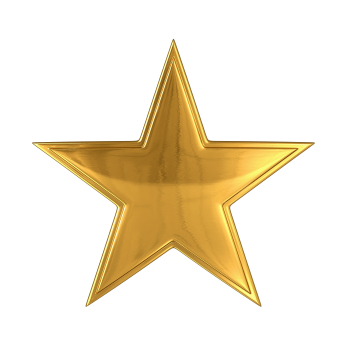 Do you remember when you were children, teachers would hand out “gold stars”? And how good it felt to be given a “gold star”? Today, give a “gold star” to someone. Or give a “gold star” to yourself. And notice how you feel when you do.